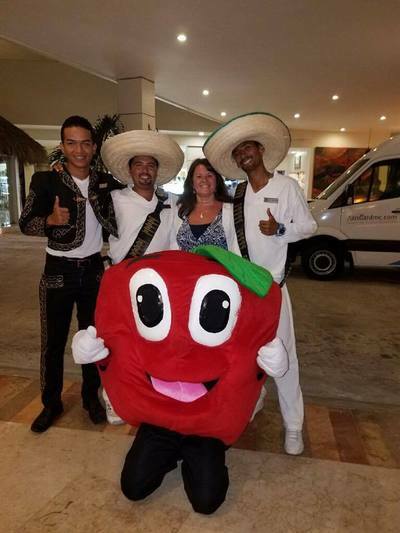 Kim Schmitt one of our Travel Agents recently traveled to Puerto Vallarta Mexico and had an amazing trip! 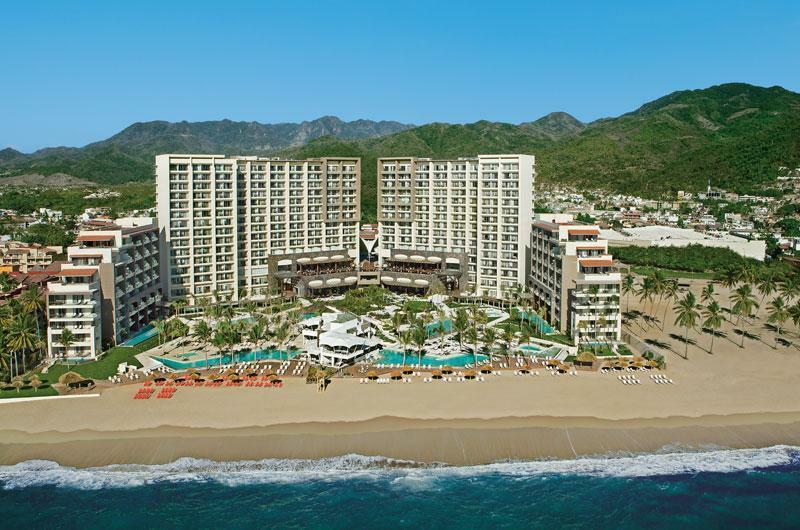 She got to check out several resorts while she was there... one of those being the Secrets Vallarta Bay. "This is an adult only resort. I loved it. Large comfortable rooms, very clean, wonderful service, the best food I have ever eaten in Mexico.Lots of outdoor activities, and there is a spa. You can walk next door and get massages for only $25." Next door is the Now Amber Resort. Guests at Secrets can eat at Now, and their food is just as good.This is a family resort, and has a children's program and teen program. Very clean, wonderful service. 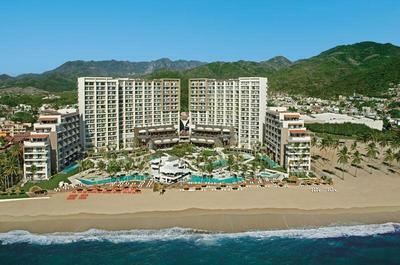 Both resorts over look Banderas Bay. Beautiful ocean and mountain views. George Johnsen one of our Travel Agents recently stayed at the Sandos Playacar Beach Resort in Playa del Carmen. 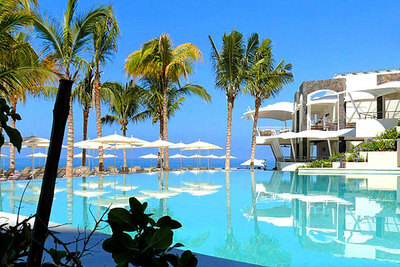 "I would highly recommend this resort and would return in a heartbeat. 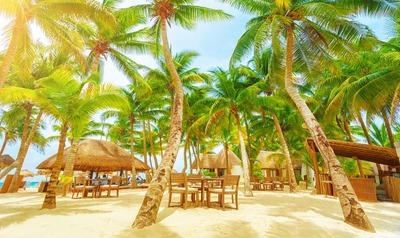 The staff was wonderful and the ambiance and beach entertainment was excellent. It is a great family resort with an adults only section for those seeking more seclusion and a great family section. The beach is wonderful and the water was crystal clear up to chest level and beyond." 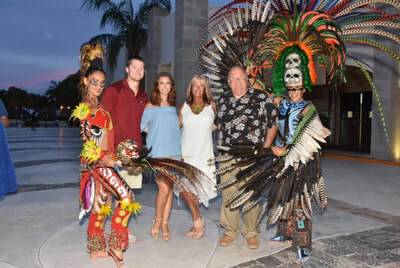 Katherine Moore one of our Travel Agents just got back from her trip to Playa del Carmen and she loved it! ​ "We stayed at the Secrets Capri in Playa del Carmen. The resort was small, which makes it very easy to navigate, and no big deal if you forget something in your room. The food was great. The resort boasts several restaurants including an Italian Restaurant (my favorite), Japanese with Hibachi, Steak House with Seafood, Beach Side Restaurant and more. There was never any wait for any of the restaurants during our stay, and we only made reservations one night for the Hibachi. The beach had these great huts that provided shade, and the wait service was great. The thing that stood out the most to me was how incredibly friendly all of the resort staff were. 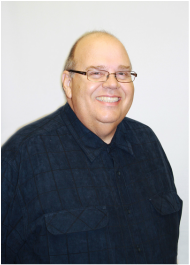 The theme among them was "welcome home", which was evident to me throughout our stay."